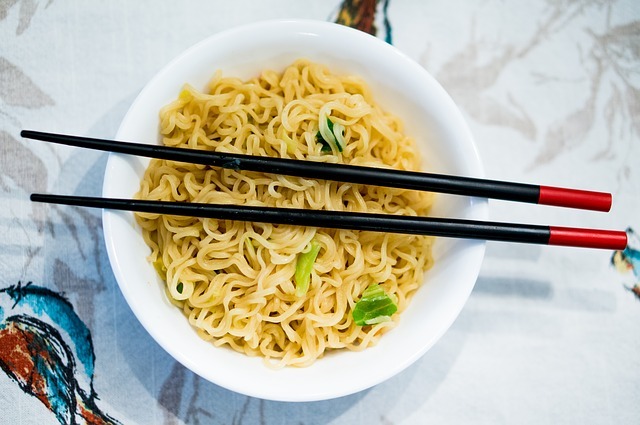 Few years ago, I posted an article on the downside of instant noodles. Up till recently, I started receiving some ‘strong’ feedback on the post- opposing about instant noodles. My respond to all this is: “only you know what’s best for you”. If we love a certain food and people criticize it, it may really cheeze us off. There are food that I love that I know are bad for me- example coffee and tea in which I was not able to give up. I knew these things are bad for me- what I can do is try to cut down my dosage and advise those who have not reached the point of addiction to avoid taking it as much as they can. This is something I know within my body- because when I drink coffee or tea I can feel my body’s negative response- my kidneys/lower back don’t feel right and in recent months, my neck and body sort of stiffen. It is something I need not justify or defend. Because my body’s reaction does not lie. And whatever happens, I need to take responsibility for my own actions. Now back to processed food like instant noodles. We all love instant noodles- it’s one of my favourite food from young and so easy to prepare- even kids can make it. Just pour hot boiling water and close the lid. Few minutes later, you have yourself a delicious stimulating slurpy cup of instant noodles. So yummy..
Do you feel more sleepy afterwards? And if you frequently eat instant noodles, do you suffer from digestive problems- gastric, bloating, acid reflux? Do you feel low in energy or the opposite- having sudden burst of energy and then feel energy crash downwards? Do you sometimes suffer from rashes or allergies after eating them? I have not known a single person who eat mainly of instant and processed food who are energetic (without frequent energy slumps), do not suffer from mood swings, totally healthy. Even after a few days of processed or fast food like pizza, burger, fries, cheezels and soft drinks- you can feel your body heavy (like it is lead laden) and lethargic. That is the typical American diet and it’s worrying. RELATED: Are you a Carbohydrate Addict? When you switch to natural food diets- rich in real vegetables and fruits and drink lots of fluid, you would just feel well. Lighter and more energy. OK, some people may start to feel tired and lethargic as their body sort of detox but after the third day, they would just feel great. Detox is not something I am fond of doing- and I am still not able to go on those fasting type of diets to cleanse myself….except on occassions where I am down with food poisoning or lose my appetite due to not feeling well. But I know there’re good. Now I usually take light food (vege, fruits or small soup) for dinner and I find it has been helpful to my system- it gives my digestive system a rest. This month I am trying to go vegetarian and even though today is only the 3rd day, I could feel the effect the meatless diet is having on me. Healers know that meat increases a person’s temperament- and the more bland your diet, the less your temper is because the ‘fire’ (fueled by energy vibration from meat) is not present. My body instantly feel lighter and less clogged. These are signals that you can pick up from your body. We do not need scientific proven studies to validate anything. Furthermore, these studies often contradict one another. Today a study say that too much coffee is bad for us, tomorrow another study say that caffeine can delay diseases like Alzheimer’s or Parkinson. So what are we going to belief in anyway? Another constantly being debated point is on cellphones and brain cancer. After talking to an hour on the phone, do you feel weird? Aside from the hot sensation, there’s a stangelike electrical current that is going within your brain in your body. The side of your ear on the cell feels numb in a strange way. It is different from you having to lean against the bus’s wall (also in an awkward position) in a bus for 4 hours- in this situation your head may feel numb because you are in the same position for so long but the feeling goes off almost immediately after you take a walk. But the one with cellphone- you would feel kinda different and the effect stays longer. You just know it- and you need not have to have any ‘experts’ to tell you anything. Microwave food lowers the body’s energy when you eat it. Yes, it’s very convenient but the electromagnetic rays are no good. How I know? Because recently my microwave broke down. Now we are not rich so we decided not to buy a new one (after all, I’ve spend most of my life not having a microwave). So, we need to either steam in the ricecooker or place cold food in the oven to heat up. And even though it is requires more preparation time, eating food that is not from microwave felt different. I have more energy instead of getting the similar effect of eating the processed food when I heat up my food in the microwave. This humble little blog is just a channel for me to share what I know. All I asked of you is to read with an open mind and then reflect on whether what I say is true or not. Perhaps certain things may work for me but not for you. Then I am happy for you. For example, I have recently written an article after hearing negative feedback about knock knee surgery. But a reader left me a comment to tell me that he did not have knee pain after doing the surgery when he was eleven. And now he is 49. The best is, believe in our ownself. When we hear, read or see stuff by others- reflect internally. Listen to our ownself . In truth, only we know what’s good for us. If it is not applicable, then discard or perhaps KIV (keep-in-view). It’s our life. No one can tell us how to live it…. we are the ones who get to decide. Make the choices and live with the consenquences….both good or bad.